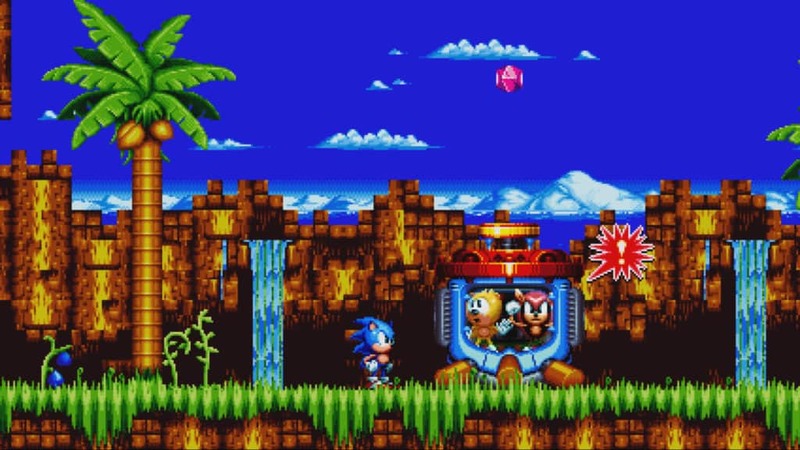 SEGA’s super fast blue hedgehog has enjoyed countless games since releasing in 1991. Some of which are heralded as unforgettable classics, and others that are mediocre at best. 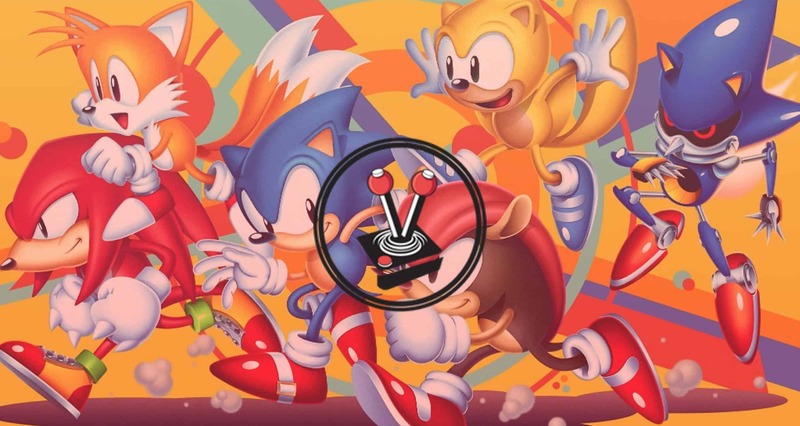 Nevertheless, when the retro title known as Sonic Mania released in August 2017, the title received generally favourable scores. That same game is back, but now expanded with even more content in Sonic Mania Plus. 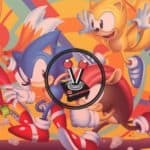 Launching for Nintendo Switch, PlayStation 4, Xbox One, and Microsoft Windows, Sonic Mania Plus is essentially a ‘game of the year’ edition that adds two new characters to the game, as well as a new game mode called Encore that quite literally mixes it all up. Although owners of Sonic Mania can enjoy the new Encore Mode via downloadable content (DLC) it does beg the question: where exactly does this new physical release of Sonic Mania Plus fit in? Is it for fans of the franchise or is meant purely for newcomers? The answer is a bit of a ‘remix’. Sonic Mania, like many classic and similar side-scrolling titles, features an extensive set of levels. 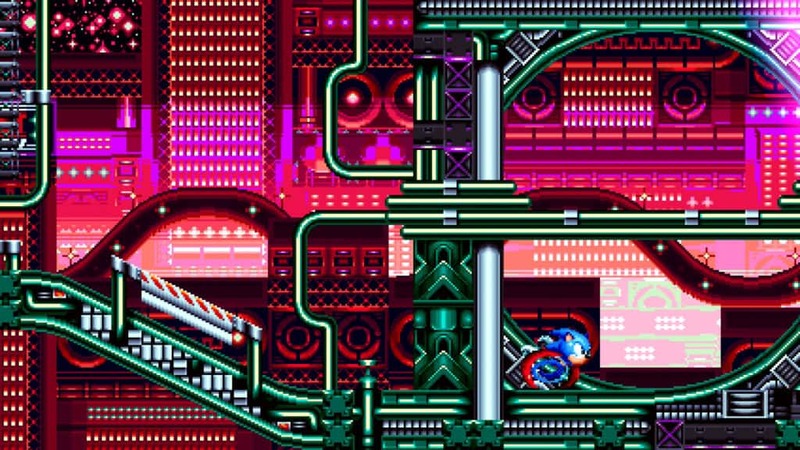 Sonic Mania Plus gives players 12 zones set over multiple acts. In total, players have 25 levels to master – and that is not even counting Encore Mode (more on that in the Gameplay section). Chronologically, Sonic Mania Plus takes place shortly after the events of Sonic & Knuckles (1994). In the game, Dr Robotnik is, once again, trying to steal the Chaos Emeralds. This time, Robotnik has friends: Hard-boiled Heavies – robots that have become self-aware and have named themselves in the process. It is up to Sonic and Tails to stop Dr Robotnik from stealing all of the Chaos Emeralds and gaining unlimited access to all the power in the world. Unfortunately, it seems that Dr Robotnik has already dug up one of the emeralds, and tapped into its power. Now strange portals have appeared that Sonic and Tails must enter in order to save the world. Resulting in a variety of adventures that take place in the future and the past. The story itself, as you would expect from a side-scrolling SEGA title, is by no means dramatic and definitely not as over the top as one might expect. However, it serves wonderfully to introduce the universe of Sonic the Hedgehog to an outsider, like myself. The game features amazing retro aesthetics that serve the purpose of not alienating anyone who played the preceding title. As with Mega-man, Mario and even Metroid, Sonic Mania Plus features extensive levels with a boss at the end. Most of these bosses are easy to figure out. However, there are a few that prove to be very challenging. The bosses, as well as some of the levels, also act as little easter eggs and references to past Sonic titles. The story is as light as you may expect from a title like this, but it is by no means a tacked-on experience. To top it all off, the aforementioned Encore Mode switches things up quite a bit. Since Sonic Mania Plus is pretty much just a physical release of Sonic Mania, but with the inclusion of the Encore DLC. This means that the game features the usual Time Attack and Competition game modes, but now also features the brand-new Encore Mode. For starters, Encore comes with the inclusion of two new characters from the Sonic universe. Mighty The Armadillo and Ray the Flying Squirrel both stem from the original arcade version of the game, Segasonic the Hedgehog. Each character has their own unique abilities: Mighty gains a ground pound that can break through certain terrain, much like Batman’s explosive gel in the Arkham game. Mighty is also impervious to spikes, as long as he is moving. Ray, on the other hand, can jump pretty high and glide mid-air. He can also dive bomb in order to hurt enemies below. 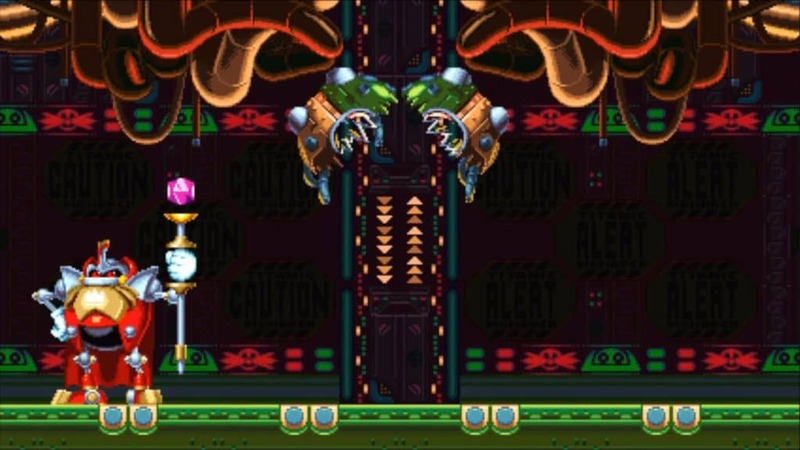 Throughout the game, you unlock playable characters like Knuckles and Tails. Encore Mode is essentially a New Game Plus mode where all levels are switched up. You can play with any of the playable characters, including Mighty and Ray. You can also go through the story once more. Only this time, it could either be way easier or way trickier depending on the character you choose. Encore also makes things a tiny bit more challenging. Instead of the customary way of accruing lives with every 100 coins collected, Encore Mode only lets you find them in item boxes and by winning minigames. In addition to that, the lives you get are not necessarily always for the character you play as. While only two characters are on the screen at any one time, a life from an item box may be for a third, off-screen character. Switching between characters is also a tiny bit more difficult – you can switch at any time, so long as you have lives for one of the three characters. The nice thing about Encore is that it features remixed versions of the game’s current tracks. This means that going through the story once more will not necessarily look the same at all. On top of that, Encore also features a totally new minigame: pinball! With all of that said, Sonic Mania Plus really has no limits to how you want to play. Except for the obvious rules in the way the game works, players have the freedom to go through each zone and every act at their (or their characters’) leisure. Sonic Mania Plus is a fun little game that looks incredible. I mentioned above that the game has a retro side-scrolling aesthetic from games of yesteryear, and that is by no means an exaggeration. Upon booting the game up, Sonic Mania Plus presents itself as a lively, fast-paced game. Its striking and vivid visuals are paired with retro style pixelated effects. I believe this is to more closely resemble old-school games. While not ideal for children who grew up within this decade alone, it certainly makes sense in the regard of nostalgia and hype. I know I was hyped up when I loaded up the game for the first time. A marked improvement in Sonic Mania Plus is how characters animate. Animations are much smoother, while the character design fits the game like a glove. It never looks unusual when you start to sprint down some slope, or try and gain speed for a massive ramp. I think this can be attributed to the nature of the game’s aesthetic design. It is a unique blend of retro-style SEGA titles and brand new side-scrollers like Mega-Man. Just way faster and on steroids. The striking visuals and retro animations, along with great loading and boot-up times, all come together beautifully when you notice how smoothly the game runs. I did not experience any hitches in the game, and it rocked a solid 30-frames-per-second on the original PlayStation 4. The game runs like a track star already blessed with multiple Olympic Golds. All things considered, Sonic Mania Plus allows twenty-six-year-old me to enjoy a series that I have not played since my bubbling pre-teens. It looks stellar, features a cast of characters that fit together beautifully, and even features rock-solid performance. Sonic Mania Plus is by no means Game of the Year material, but it serves its purpose as an excellent side-scrolling 2D platformer. It features 25 unique levels and then switches them all up with the switch of a button. Similarly, playable characters are all loveable. Players will easily hook onto a certain playable character once you get to try them out. I am delighted that I ended up playing the game, even if only for around five hours or so. In that time, I completed the game once and played about an extra hour or two in Encore; where the game felt brand new. It is worth the play, whether you are an ageing Sonic fan or a child just wanting to play the game with “the cute blue man”. Sonic Mania Plus looks stellar, features a cast of characters that fit together beautifully, and even features rock-solid performance. It features 25 unique levels and then switches them all up with the switch of a button. It is worth the play, whether you are an ageing Sonic fan or a child just wanting to play the game with “the cute blue man”. First episode of Kokurase is free on Steam right now!